I am no longer able to stream videos via the roku off the network anymore. I am able to connect to the server and browse through movies. However, when I try to play a movie it hangs at the loading screen (approximately 15% of the loading bar) for a few minutes, then plays 10 seconds or so of the video and then buffers in an endless loop. It doesn't matter what video I try to play, direct play vs transcoding. If I monitor the network traffic when trying to play via the roku it is very minimal. When I play a movie off the network via the web browser every movie plays perfectly and you see much more network traffic going across. I saw @Luke comment that the iPad browser version uses the same protocol as the roku and tried that off the network. The iPad sees a similar issue to the roku. Able to load up and browse videos fine, when attempting to stream you see extreme buffering issues making the movie unwatchable. I have included a log below of attempting to access all three scenarios. you probably want to adjust your bitrate settings in the client apps then. the web client has a pretty low default which could explain the difference. Initially I thought that was the issue as well. I set the roku to the lowest video quality - 664kbps - and still see the exact issue as described above. 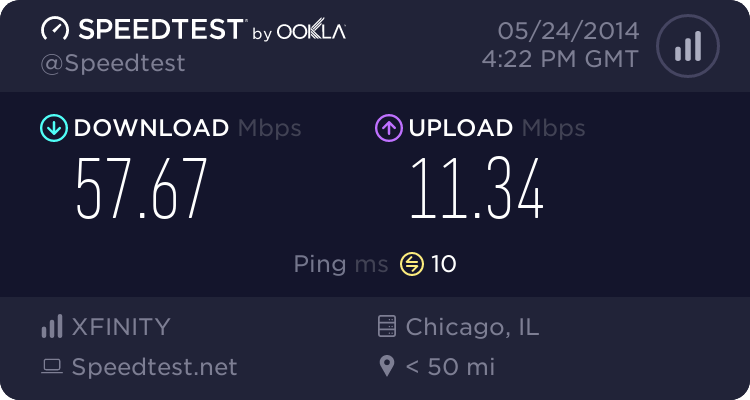 I can set the web client to the highest possible setting on a 1080 movie off the network and it streams perfectly fine without any buffering. Ok. You'll need to post new server logs though because there's no playback in there. just post the entire file. and also the ffmpeg encoding logs. I am no longer able to stream videos via the roku off the network anymore. I am able to connect to the server and browse through movies. However, when I try to play a movie it hangs at the loading screen (approximately 15% of the loading bar) for a few minutes, then plays 10 seconds or so of the video and then buffers in an endless loop. I am experiencing a similar issue. Attempting to play any video file, mp4 MKV AVI etc, on a Roku outside of my local network, the video buffers for around a minute and it will eventually play, then it will stop after 9 - 10 seconds and it will go back to buffer again, then this cycle repeats. If I pause the video during the initial playing cycle for a few minutes I can get an extended length of the video to play, but it will eventually go back to buffering. this is similar to what happens on the Apple application, iphone 5 version 7.1.1, except in the application, the video buffers for a time and then the video freezes while the sound continues to play. there seems to be a similar issue using the Android application, utilizing my iPhones hotspot feature I was unable to get a video file to play on my samsung galaxy 10.1 2014 Android tablet, but it plays perfectly fine on my local network. I read some of the other posts on this forum and tried the things they listed, restarting the server did nothing to solve my problem nor did clearing the temporary transcoding folder or turning off DLNA capabilities. I have played with the transcoding options on the dashboard, changing it from highest speed, highest quality, and auto, did nothing to solve the problem. I also manipulated the bitrate settings on the Roku and the iPhone to no avail. originally I thought it might have been my computer which has an i5 Intel CPU 16 gigabytes of RAM and is running Windows 7 x64 Home Edition, so I switched it to my HTPC which has an i3 intel CPU and 16 gigabytes of RAM also running Windows 7 x64 but the Pro Edition. both PCs play on my local network perfectly but the second I tried to access a file outside of my local network the stuttering and the buffering issues occur. I've tried to use a personal hotspot from my iphone on the Roku and the Android the other attempts were through a Comcast wireless network at another location. one other thing after reading the forums I've gathered that H 264 files with AAC audio are supposed to play without needing to be transcoded, anytime I attempted to play a file MKV or otherwise the CPU usage would spike up to about 80 percent. I believe I have uploaded the correct logs, so if you could look them over and help me in this issue I would appreciate it. What is the upstream bandwidth of your internet connection where the server is? both port 8096 and 8945 are forwarded, and it used to work brilliantly outside of my network. It seems it is only recenlty that this has become an issue. Edited by thisguy2626, 24 May 2014 - 12:24 PM. After doing absolutely nothing with my network, my pc, or the server itself, it has begun to function normally again with the exception of a single file, the most recent file I uploaded to the server. Could this have confused something within the server itself and caused it to continue to overload or crash or something? I did not change anything after my first post on this topic, and now it is working again. I'm completely stumped as to what could have changed to cause it to function again. I have since deleted that file and it is still working strong just like before. I just scrapped the file and started over. It plays fine now. Could one corrupt or incomplete file truly bring down the entire server? No it shouldn't - do u still have a log file from when that file was added? 408- This is the first log file generated by this server as I switched PC's when I was trying to figure out the problem. There are a few others from my other PC, but none have a time that correspond to when I added the film... They are all a few hours after the fact, and are rather large so I had to upload to dropbox. file ending in 999 has a time stamp of 2 hours after the file was uploaded, around the time that I switched to a different pc. 150 was around 6 hours after. I thought I'd update this thread, because I've recently also started seeing this same issue. I was planning on attempting to trouble shoot this issue yesterday to provide more detail but didn't have the opportunity. Just as a reminder, I have three WHS2011 servers running in 3 different physical locations, I use one primarily for "on the go" streaming because it has the best down/up load bandwidth speeds. I use BitSync to keep the three servers in sync with regards to the movies available to watch. Earlier this week, I noticed the Primary service was "hanging" trying to stream a movie, didn't matter if it was attempting to play through Roku, Android app or iPad app. However, web browser & WMC work work find to play the movie. To solve the issue on the primary server, I restarted the Media Browser service. This weekend I was at the location of one of the other two Media Browser servers (S2). It was here my kids actually notice that on the Roku a majority of their movies wouldn't play, same issue as described above. Roku app loads fine and display moves, can change users, can change preferences, however, when pressing play on a movie, the first 20% of the progress bar populates, it sits and then eventually crashes back to the movie menu screen, doesn't matter what preference setting I choose. The Roku is connected through a gigabyte LAN and some movies do play, although the file type doesn't appear to matter. Also, without changing anything on the Roku box connected to S2. I was able to stream the exact same movie from the Primary server to the Roku over the internet, albeit at a low quality to minimize buffering. Therefore, it appears to be something in the server and not the Roku, maybe it has something to do with transcoding but I'm just guessing at this point. All follow this thread and add input/files/examples where possible, but I won't be back to the location of the "S2" for a few weeks to try anything out on it. However, I'm glad I'm not the only one experiencing this issue and it is a fairly recent issue - I noticed it a bit last weekend on S2 and we experienced it twice on the Primary server last week and I continued to have issues this weekend on S2, but I've been unable to identify the cause. This topic may be related to ( http://mediabrowser....ces/#entry26031 ) but in reverse... ...and a close second cousin must be this topic ( http://mediabrowser....server-upgrade/ ). Playing over the internet most certainly a greater percentage of videos will transcode themselves rather than stream at full bitrates. The problem as I see it is ffmpeg never is invoked. Some ask for ffmpeg logs from people to see the issue. I can watch the process list all day long. Click movie after movie requiring transcoding on the roku and they just never play. Any time a mediabrowser client is used which requires transcoding to support whatever the codec it is it may be playing, it's as if ffmpeg never invokes. I've checked logs when this happens and most times this occurs I know it's if i go into a tv-show, say on the roku, it's late, It plays theme-music loudly (some theme songs are loud as hell for no reason, go figure).. oops. So...to stop this you quickly click into any episode fast as possible and make it try to play that video, but before it even has a chance to display a progress bar you back out very quickly. This has worked before. Lately doing this quickly causes ffmpeg to never re-instanstiate again. Reboot the roku has no effect. This could be why the majority of users experience this issue on their rokus. Do they also start their videos and quickly exit before it has a chance to do anything as well? Do they also use tv theme-music? This has to be related. 2014-05-26 19:57:30.0564 Debug - Dlna: No matching device profile found. The default will be used. User-agent: Roku/DVP-5.4 (045.04E03340A). nothing ever happens. my episode of eastbound and down did not get transcoded and play, roku kicks back to details screen. ffmpeg never makes an appearance, but i do see dllhost making a random couple of quick appearances everytime the roku kicks back and playback fails. I have reproduced the problem repeatedly and consistent. So can you quite easily. So can anybody with a roku and those who already have know if this is what caused their issue as well. 3) back out fast as possible before the progress bar even displays, then back up to the episode guide. 4) Now pick another video. This video will not play. ffmpeg will not spawn. You must restart mediabrowser-server. Edited by speechles, 27 May 2014 - 12:05 AM. I cannot repo this - I need full server logs in debug to even start. If neither of these work try updating the server to dev build and see if the issue still exists. Edited by Tikuf, 27 May 2014 - 12:24 AM. Ok.. full server logs will be posted shortly. In the meantime, it appears theme-music is irrelevant. DLNA options don't matter. It's simply the act of playing a video, and seeing perhaps .. oops .. wrong video. The speed in which someone starts and stops the transcoded video on the roku. This has a direct effect on something that controls ffmpeg. I do see dllhost pop up when start the video, then popup again when stopping. There is never anything transcoded. ffmpeg never invokes. im copying my system to system_old and updating to devbuild (so i can easily revert back) and will report on that as well. But what exactly in regard to logs, which options produce the least amount of pollution for you to sift thru? dlna on, theme-music, etc? Whichever way is cleanest for you to see the issue works for me to start with. Edited by speechles, 27 May 2014 - 12:40 AM. attempt playback then post all the logs in that folder.